Zoos and Aquariums around the world are raising awareness today that Otters need our help. Did you know that otters are an ‘indicator species?’ When we see otter populations thriving, that’s an indication that their surrounding habitat is healthy. Unfortunately, of 13 total otter species, nine are declining across the world. Otters are also a ‘keystone species,’ which means they are the key species that hold their ecosystem together. If otters were to vanish, other species could increase and cause an unbalanced environment. This could ultimately lead to the whole ecosystem crashing. Some of the most common problems we see in otter habitats are from pollution and disease. We can help these issues by carefully selecting cleaning supplies that are washed down the drain and fertilizers that are used in our yards. These chemicals travel throughout watersheds and harm the foods that otters rely on for survival. Past and current efforts to protect otters have been mostly successful. While several species remain in real danger, the conservation efforts in place right now give us a very good chance to see these cute creatures surviving well into the future. 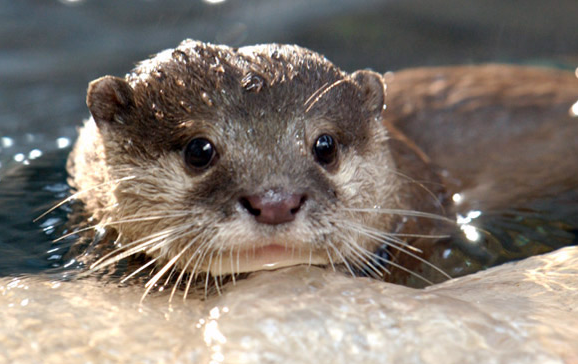 Newport Aquarium’s Canyon Falls exhibit features Asian Small Clawed Otters. In their natural habitat, they are found in the mangrove swamps and wetlands in South East Asia, Indonesia and India. 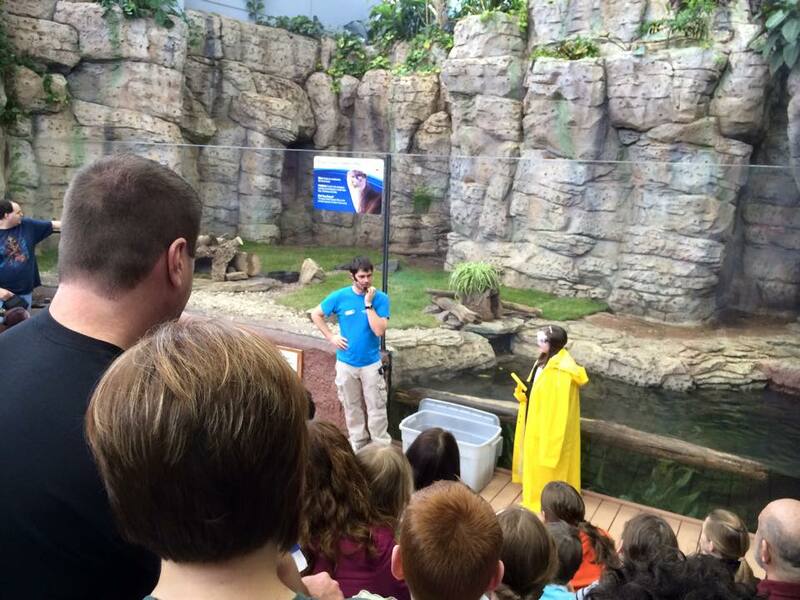 When visiting Newport Aquarium, be sure to stop by Canyon Falls to learn more about these animals through zookeeper training sessions or Otter Talks lead by one of our cast members. This entry was posted in Canyon Falls and tagged Canyon Falls, conservation, newport aquarium, otters, small clawed asian otters by NewportAquarium. Bookmark the permalink.